A makeup artist previously revealed that the Duchess of Sussex is not a fan of a red lip. Apparently, she doesn’t feel comfortable wearing a fiddly color on her lips. However, she has surely been more daring with her outfit choices lately. 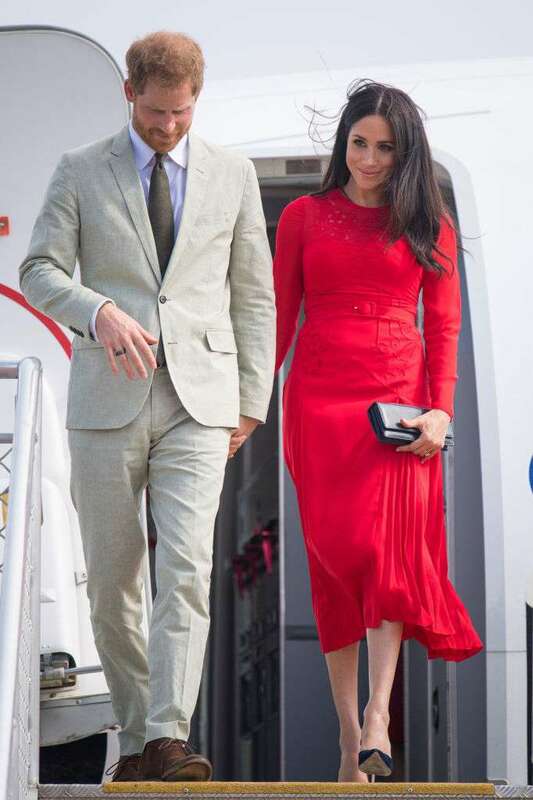 For her arrival in Tonga, Prince Harry’s gorgeous wife chose a bright red Self-Portrait dress to complement the country’s flag. The Duchess looked incredible in a vibrant number that featured delicate cut out details and a skinny belt, hugging her waist. Meghan teamed her look with navy high heels she was previously seen wearing and a little black clutch bag. She kept her look very simple, letting the dress to have all the attention. Meghan’s appearance was quite picturesque as she walked down the red carpet, surrounded by matching Tonga flags fluttering in the wind. 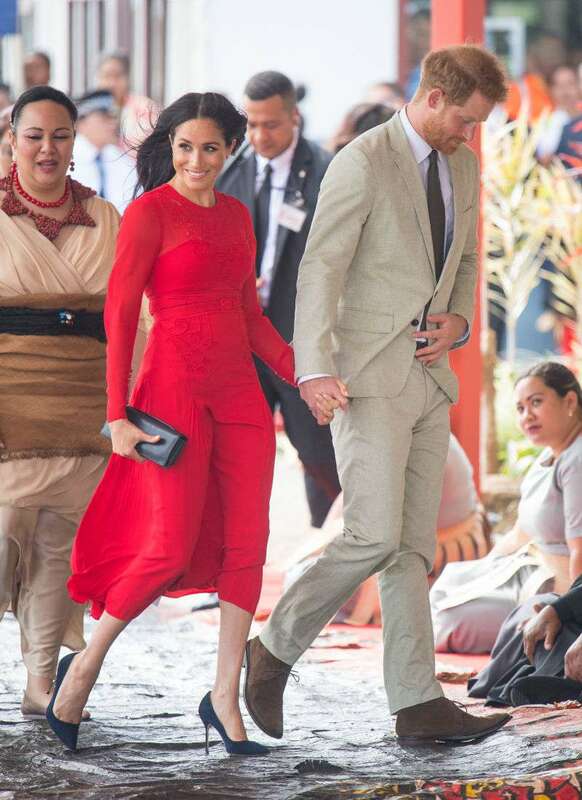 The Duke and Duchess of Sussex were greeted by Tonga’s royalty – Princess Angelika Latufuipeka, the eldest child and only daughter of King Tupou VI and Queen Nanasipau'u Tuku'aho. wow the Duchess Meghan is splendid. This couple really represents the future. Welcome to Tonga. Very proud of them. Beautiful classy Duchess Meghan looks splendid in both dresses but she was divine in the Red dress just eye catching drop dead gorgeous. She is well prepared honoring each country by wearing the country’s flag colors. Such a thoughtful person. Later, the royal couple will also meet the King and Queen of Tonga, attend the official reception and dinner. So there is another outfit change in the cards for Meghan and we can’t wait to see it.